The walls are high and the routes are many. They even have two auto-belayers set up if you can't find a partner for top-roping. Lead climbers will enjoy their setup in the rear where they have a bunch of climbs which are definitely challenging and creative. You can bring your own rope, rent one of theirs, or just borrow one if you're a member. Bouldering is really cool here. Their structure is top-out style but they also have routes which end prior to the top lip. They have plenty of different-angled faces that will suit all levels of skill. They also have a small campus board and wooden hangboard in the back. The climbing, though, is obviously the most important part. The quality of the climbs and the bouldering wall is exceptional. They are both fun and challenging for any skill level. I recommend it to anyone interested in climbing. As a first time climber (second time as of last night), I really like this place. The first time I visited, they were very good about making sure I knew exactly what I was doing. Love the monkeys on the ropes to teach you how to belay! 😀 There's a great bouldering area too that I tried out last night. Prices are reasonable ($20 for a day pass and gear) and there's a good variety of walls to fit different skill levels. Our family really enjoys going to The Edge. We’ve had two birthday parties there for our son. All three boys love climbing. Even my 5 year old loves it. The staff is great, kind and helpful. I highly recommend trying it out. The best gym in the northeast and the BEST community. I'm living in Colorado now, but The Edge is still, and will always be my home gym. The Edge has the best routesetting out of any gym I've ever been to and has a quick turnover rate, so the walls are always fresh. The Capital Region's state-of-the-art indoor climbing facility is home to more than 14,000 square feet of textured climbing terrain, a massive free-standing boulder with seamless padding, nearly every bouldering section topping out, and a huge selection of top rope and lead routes for climbers of all ages and ability levels to enjoy. 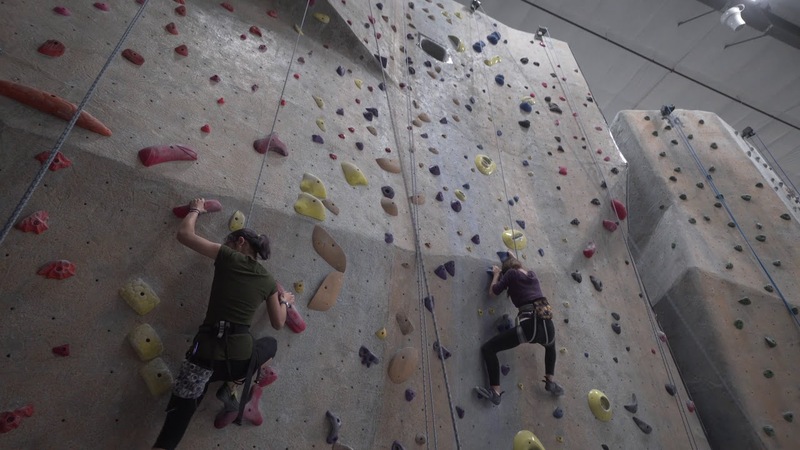 As the Capital Region's premier climbing gym, The Edge is bigger and taller than any other gym within a 100 mile radius, and is the perfect place to get better acquainted with one of the best sports on Earth. Anyone present inside the gym will need a waiver. Yes observers, that means you! If you do not have a waiver and are under the age of 18 with out a parent or legal guardian present, you will not be able to climb.